UPDATED: Tue., July 24, 2018, 9 p.m.
A crisis of falling prices caused by retaliatory tariffs on American agricultural products prompted the Trump administration Tuesday to make a $12 billion aid package available for farmers hardest hit by the ongoing trade war. Agriculture Secretary Sonny Perdue announced the emergency aid as farmers from across the country, including Washington state, complain that tariffs President Donald Trump earlier placed on steel and aluminum have sparked a trade war that has directly hit farmers hoping to export their crops. The aid package, set to begin in September, is mostly designed to help soybean farmers, dairies and pork producers. Part of the proposed package would allow the U.S. Department of Agriculture to purchase surplus fruits, nuts, rice, beans, beef, pork and milk for distribution to food banks and other nutrition assistance programs. White House officials hope it will temporarily quiet some of the unease from farm groups, but the new plan already has been criticized by some lawmakers, including Republicans, who believe the taxpayer-funded bailouts amount to welfare for farmers in a trade war caused by Trump’s decision to place tariffs on steel imports. Derek Sandison, director of the Washington Department of Agriculture, said it’s too early to tell how the program could help Washington farmers. “What you heard (Monday) is the sentiment of many farmers: They would rather have their trade markets open than aid programs,” said Sandison, who spoke at the Pacific Northwest Economic Region summit in Spokane on Monday. As an example, Washington cherry producers are facing 50 percent tariffs in China, its biggest export market. China purchased $100 million of Washington cherries last year, Sandison said. In response to Perdue’s announcement, the U.S. Wheat Associates and the National Association of Wheat Growers issued a joint statement thanking the administration for acknowledging that farmers need help. “To repeat, this damage is self-inflicted, so the Administration is right to take steps to address it, but the next step should be ending the trade war,” the statement says. Perdue’s aid package, which had been in the works for months, comes under a Great Depression-era program called the Commodity Credit Corporation, a division of the Agriculture Department that was created in 1933 to provide a financial backstop for farmers. The bailout plan comes just as voters in several farm states are preparing to cast votes in the midterm elections. The Senate has several key races this November in agriculture-dependent states, including Missouri, North Dakota and Indiana. In the past four months, Trump has imposed tariffs against steel and aluminum imports from China, Canada, Mexico, the European Union, Japan and a range of other countries, and he is threatening to broaden the scope of the tariffs to cars and uranium imports, among other things. Thursday, Trump is scheduled to travel to Illinois and Iowa to talk about the economy and his trade agenda. Those states are full of farmers who could seek relief from the federal aid package. Some Republicans several months ago had warned against using the CCC as part of a trade war-related bailout, saying it could distort market forces and pay farmers for products they don’t produce. “If tariffs punish farmers, the answer is not welfare for farmers – the answer is remove the tariffs,” Sen. Rand Paul, R-Kentucky, wrote on Twitter. Other Republicans backed the president. While the economic backstops are widely popular in rural states, some anti-spending Republicans and urban Democrats have said they unfairly prop up agribusinesses at taxpayers’ expense. Trump’s proposed 2019 budget also would have slashed CCC funding, including eliminating funding for one program aimed at helping U.S. farmers find new markets for their products. Former Congressional Budget Office Director Douglas Holtz-Eakin said the emergency aid for farmers would likely be considered Trump’s first taxpayer-funded bailout of private entities, an unusual occurrence during a strong economy. Holtz-Eakin, a Republican, is one of several conservative economists who has been sharply critical of Trump’s trade approach, and he said Tuesday the programs the Agriculture Department will use to help farmers were not designed for this purpose. 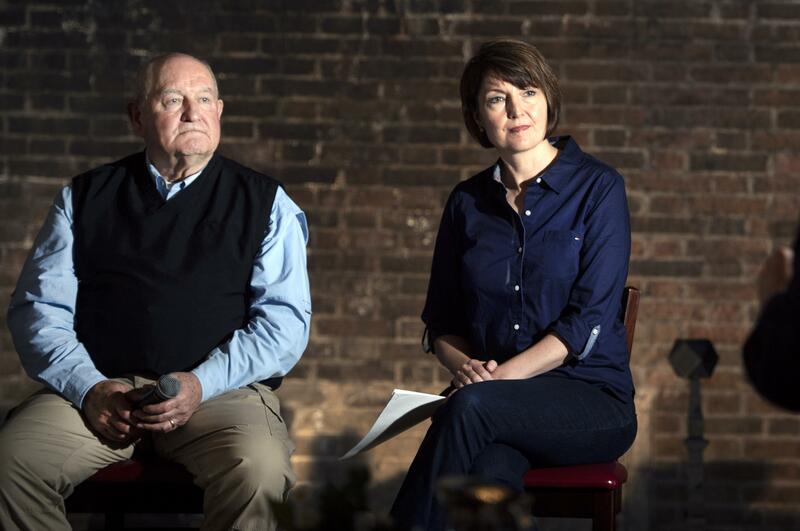 U.S. Rep. Cathy McMorris Rodgers, R-Wash, wrote several messages on Twitter Tuesday praising the strong economy and a “permanent repeal of the job-crushing medical device tax,” but made no mention of Perdue’s announced aid package for farmers. Her Democratic opponent, Lisa Brown, however, linked to the news release from the wheat trade organizations that were critical of Trump’s trade policies. “Tariffs are not the answer. Eastern Washington farmers, businesses and consumers are being hurt by #TradeWar,” Brown wrote on Twitter. Published: July 24, 2018, 5:18 p.m. Updated: July 24, 2018, 9 p.m.